JEE Main 2019 Result of the April session will be available soon. The result along with all India ranks of candidates has been declared online on the official website. Admission in NITs, IIITs, and GFTIs is on the basis of JEE Main results. Candidates who want to get admission into most prestigious and renowned IITs will need to check the result to find their eligibility for JEE Advanced Exam. As only the candidates who successfully qualify the JEE Main 2019, will be eligible for the next phase of the exam. Since qualifying the JEE Main 2019 is the dream of lakhs of aspirants, all the candidates will be eagerly awaiting the results. 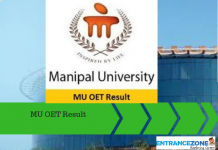 Therefore, interested candidates must check this article for the latest updates related to JEE Main 2019 result. It has been recorded that 15 candidates have scored 100 NTA Percentile across India. According to sources, Ranks would be declared after the Second Session of JEE to be held on 06-20 April 2019. Hence, the applicants must keep it safely until the seat allotment and admission process is complete. Interested candidates can go through the article to get the complete details. The official link for JEE Main Result 2019 is given below. The NTA scores of both the attempts and rank of Paper-1 of JEE Main 2019 for all candidates who appeared in the first attempt as well as in second will be announced by 30th April 2019. 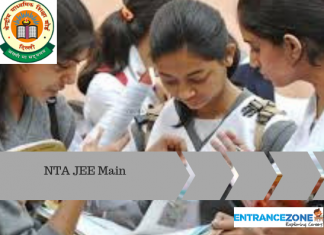 NTA has released JEE Main 2019 April Application Form. Click here> Application Form. Click Here to Check JEE Main 2019 Result Via Password. Click Here to Check JEE Main 2019 Result Via Date of Birth. How to check JEE Main Result 2019 & All India Rank? How to download JEE Main All India Rank & Merit list? The Joint Entrance Examination (Main) Result is announced and available for students. National Testing Agency also announced a list of candidates who have received 100 NTA Score in January 2019 examination in Paper-I (B.E. /B. Tech.). Compilation and display of Result of JEE Main Paper-1 are given below. As per the announcement made by MHRD, the newly formed body NTA will conduct the JEE MAIN examination twice a year and result also declared twice in a year. Candidate allows giving the NTA examination twice in a year. The National Testing Agency conducted JEE Main Examination for the first time between 8th to 12th January 2019. The examination was conducted in two shifts per day across 258 cities in the country and abroad. Where A total number of 9, 29,198 candidates registered themselves for Paper –I (B.E. /B. Tech.) in this examination and only 8,74,469 candidates appeared for the exam. Furthermore, the Paper-1 was conducted in a total of 8 shifts from 9th to 12th January 2019. The results of Paper- 1 have been declared today. 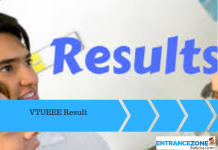 Read More JEE Main Analytics about Result Here. NTA will conduct these examinations for admission to various courses in reputable NITs, IIITs and other centrally funded engineering institution for the academic session 2019-20. The score of JEE Main paper for 2019 will also be available by the same authority after the final exam. Moreover, If a candidate qualifies in JEE Main then they will be eligible to appear in JEE Advanced for admission to the IITs. After the declaration of JEE Main 2019 scores for both the session of examination, the All India JEE Rank will be available on the NTA website. The rank list will be available along with the result. Last year, JEE Main All India Rank had been declared on 27th April. On the basis of JEE Main 2019 score, candidates will be eligible for taking the Joint Entrance Examination Advanced 2019. JEE Advanced 2019 is the second stage of entrance test for admission to IITs and various NITs across India. And, Candidates can get real-time updates about the upcoming Jee Main 2019 Result through this post on our website also. Step by step instructions to check JEE Main Result 2019 & All India Rank. Checking your JEE Main Result often becomes an uphill task after the declaration of result on JEE main portal. 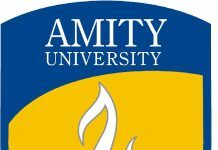 Lakhs of students try to access the website for checking their result and as a result, often the server becomes unresponsive or technical glitches occur, resulting in students facing the problem. But do not worry and just keep in touch with our website for regular updates about JEE Main 2019 Result. The following are some basic details you need to keep in mind to view your JEE Main Result. First of all, Click on the given link to check your marks. Then check our notification link for real-time updates. Click on the link related to JEE Main paper result 2019. Candidates must Enter Roll No. and DOB in a given field. Now, Click the “Enter” Button. Download the copy of Result and save it for future reference. NTA will announce the all India rank or Jee Main Result 2019 (paper 1) score of top 220000 candidates. Following will be eligible to appear in Jee Advanced exam for IITs. The result of Paper 1 (B.E. / B. Tech.) of JEE Main 2019 will be available by the Last Week of April 2019. The actual marks secured by the candidates in Paper 1 and the status of those who are eligible for appearing in JEE Advanced 2019, subject to satisfying other eligibility criteria, will be available in JEE Main 2019 Result. All India Rank and All India Category Rank will also be available on the result. CSAB will use only AIR of the candidates for offering admissions whereas other ranks will be just for information. Candidates will not be sent any form of offline result. The authorities will not contact the qualifying candidates regarding the result. Candidates are advised to carefully check the result and should download it from the official website only. In case there is a tie between any two candidates, inter-se-merit rules, as declared in the prospectus, will be applicable to break the tie and decide the rank. How to Challenge the Answer Keys of JEE Main Exam? The images of Response Sheets (OMR Sheets) and answer keys of Online (Computer Based) Examination will be available in the Third Week of April 2019. The candidates have the provision to challenge the recorded response and the answer keys declared by the conducting authority. Furthermore, the candidate will have to pay a non-refundable amount of Rs. 1,000 /- per question to inquire about the answer. This payment can be done through Credit Card / Debit Card / E-Challan. The decision of JAB / NTA will be final on challenges and there will be no communication on the same. The institutions not participating in Centralized Seat Allocation Procedure will prepare their own rank list of the candidates. The list will be based on the performance of candidates in JEE Main 2019 and their other selection criteria. After the result declaration, the data goes to the concerned state government Institute or SEAT ALLOCATION BOARD for Seat Allotment Process and admission procedure. The Secretariat (JEE Main) does not collect the information regarding the availability of seats in the institutions and reservation criteria followed by the institutions. NTA Score for Paper-1 and Paper-2: The following steps shall be applicable to both the attempts. The JEE Main result will be compiled on the basis of final answer keys. No grievance with regard to answer keys will be entertained after the declaration of result of JEE Main 2019. After the JEE Main 2019 exams, the National Testing Agency (NTA) will announce the Answer Keys & recorded responses of multiple choice questions of Paper-1 and Paper-2 on the NTA’s official website. The candidates, who are not satisfied with the recorded response, May challenge the JEE Main Answer Key. Evaluation of MCQs of Paper-1 and Paper-2 will be fetched out using final answer keys and the raw (actual) marks obtained by a candidate will be reviewed further for calculation of the result of JEE Main 2019. Note: The detailed information about NTA Score calculation is available on NTA’s website. After following the steps given above, the calculated NTA scores for all the shifts/sessions will be consolidated and announced by 31st January 2019. This shall incorporate the four NTA scores for three subjects i.e. 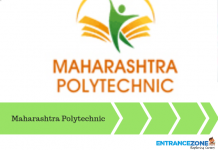 Mathematics, Physics, Chemistry and the total in Paper-1 of JEE Main 2019 for the first attempt. JEE Main-2019 Paper-1 second attempt will be conducted in multi shifts, NTA scores will be calculated and merged for further processing same as the first attempt, described above. The four NTA scores for each of the candidates in Paper-1 of JEE (Main)–2019 for the first attempt as well as for the second attempt will be merged and the result (overall Merit & rank list) will be prepared. Candidates appeared in both the attempts; their best of the two NTA scores (total) will be scrutinized for further result processing. NTA score of raw mark in Mathematics. NTA score of raw mark in Physics. NTA score of raw mark in Chemistry. Whta is the qualification criteria for the journal categoryy for JEE MAIN? What is the qualification criteria for general catgory for JEE-MAIN? How do i check the JEE Main 2017 Result? How can I check my JEE Main’s result? At what time on 27th April will the JEE Main 2017 result be declared? How can we check JEE Mains result 2017?